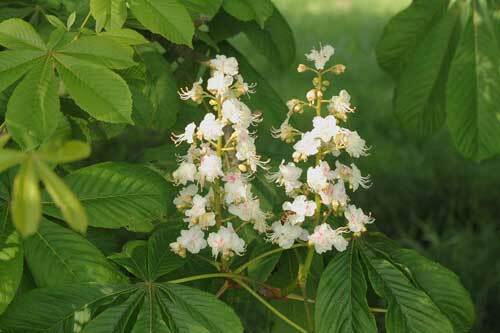 In herbal medicine it is sometimes the bark but primarily the ‘fruits’ (perhaps more accurately described as the nuts) that are used from the Horse-chestnut tree. Horse-chestnuts can grow to nearly 40 meters tall and they are often planted in parks and botanical gardens because of their grace, beauty, abundant foliage and striking flowers. 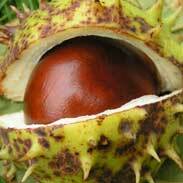 Horse-chestnut has a long history of use for improving circulation and the strength of the blood vessels. This has seen it being taken internally for conditions such as excessive uterine bleeding, varicose veins and bleeding haemorrhoids. A tea made from Horse-chestnut has also been used externally to treat similar problems such as chronic leg ulcers or open wounds where the blood vessels on the surface are not mending themselves well. Rudolph Weiss M.D writes 'today it is a proven fact that standardised Horse-chestnut extract is an effective preparation for the treatment of chronic venous insufficiency'. 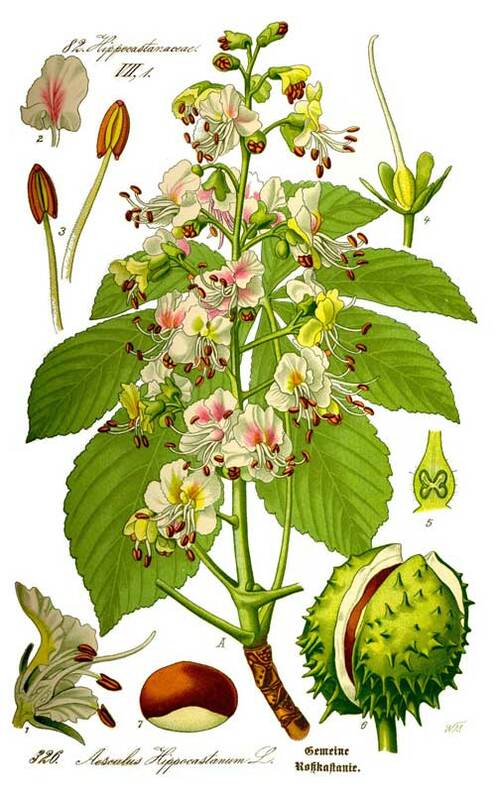 Thomas Bartram writes that the actions of Horse-chestnut include 'anti-inflammatory, vasodilator, astringent, tones & protects blood vessels, anti-oedema. Stimulates production of prostaglandin F-alpha, which constricts veins. He suggests uses for it including 'for bleeding piles and uterine bleeding, varicose veins, phlebitis, heavy legs, swollen ankles, chilblains, thrombo-phlebitis, night cramp (take 20 drops of the tincture at bedtime) Bartram suggests doses for the horse-chestnuts of 1-2 grams and 1-2 mls of the extract of the powdered herb in tincture form. 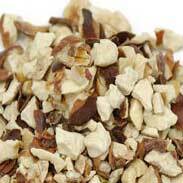 Horse-chestnut is a potent herb that must be used with care. Symptoms of using too much of it include nausea, dizziness, headache or skin-itching -- do not straight away take these as a sign to not use it, you may simply need to less. There are no reports in the literature of it doing harm to a pregnant woman or her baby, or being a problem for breastfeeding mothers (indeed one of the above studies was done with pregnant women) but, because of how it can be hard to tolerate and because too much of it would be toxic, I would not personally use this herb for a woman in these times and nor would I give it to a child. 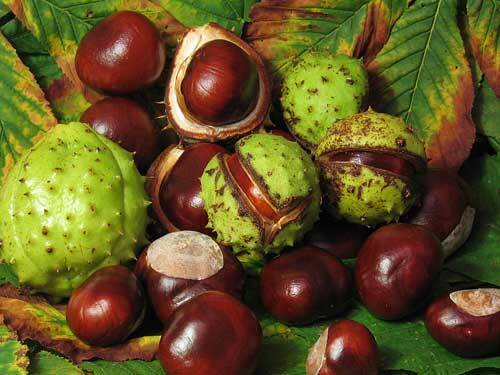 I have had a great many good results in my own practice with the use of Horse-chestnut for the treatment of varicose veins and other conditions of poor blood flow through the veins and so for some time now I have felt confident to suggest it as a treatment which will have a high likelihood of success. Varicose veins are a tough problem to treat and most people are told there is no solution other than a surgical one but, based on my own experience with it, I can say that a wider appreciation and use of Horse-chestnut would see a great deal of surgical ‘stripping’ of varicose veins being able to be avoided.Horse-chestnut clearly has ingredients within it that make it remarkably effective at strengthening weakened blood vessels. 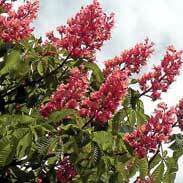 I have also found Horse-chestnut to be of value in some cases of another tricky condition; acne rosacea. 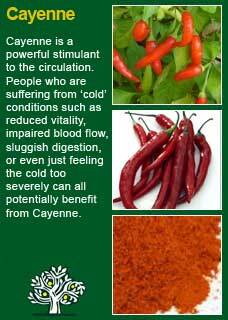 Here it seems that, if taken for long enough, it seems to reduce the propensity of the blood vessels of the face to haemorrhage and form broken capillaries over the nose, cheeks and forehead. 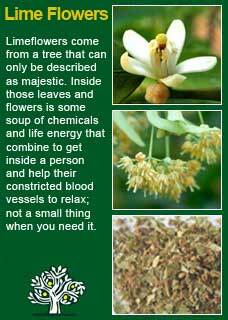 Horse-chestnut is a very strong herb and you have to be careful not to overdo it or you can get some symptoms of nausea. In any case I don't think that especially high doses are needed for a good result but rather it needs to be taken consistently and patiently for at least 2 months before deciding if it might be doing some real good. There are many commercial products of this herb available and if someone is confident of the authenticity of their source of supply then any preparation that provides around 600mgs a day of high-quality Horse-chestnut extract should be sufficient to see it working. 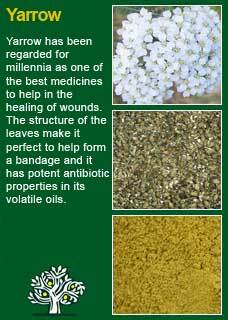 Horse-chestnut combines perfectly with Limeflowers and Yarrow to strengthen blood vessels and with Cayenne or Hawthorn to improve circulation. A common example of how I use it in practice is given below. These two herbs have been seen to be of much help to some people with varicose veins or other forms of venous weakness, but you cannot expect fast results with them. A minimum of two-three months' treatment is necessary before you can assess if they are making a significant difference and then, if they are, you must carry on with them for as long as necessary. The Licorice is there for taste and to make it easier to digest the Horse-chestnut in particular, someone with an aversion to Licorice could use Peppermint or Fennel extracts instead. This formula would make 560mls, which will just fit into a 500ml bottle. A typical adult dose would be 10mls once a day but a person who was in a bad way could take 10 mls twice a day until things were clearly improving. At once a day, this amount of medicine would take 2 months to complete, whereupon I would recommend at least one repeat to give it all a proper try. 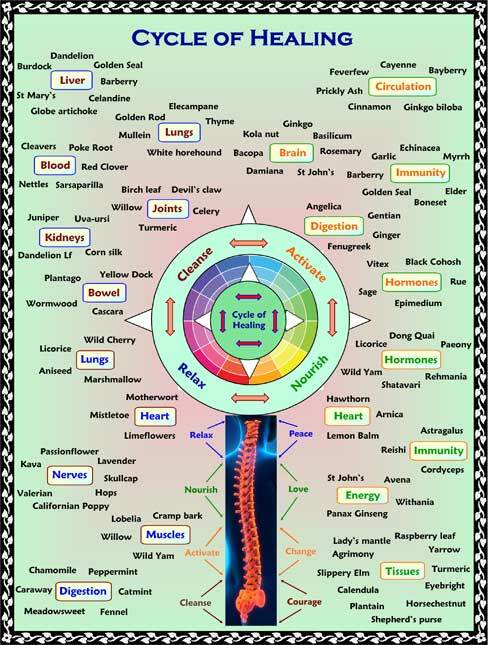 In other words, I would usually want to do a 3-4 month treatment of these herbs to see how much difference they could make. At 10 mls once a day, this formula would give about 2 mls of Horse-chestnut extract in a day, which should be both safe and adequate, so long as it is given enough time to work. Much of the information here about the traditional uses of Horse-chestnut is consistent with the model of thinking whereby one may treat problem A with plant B. There is value in this approach, especially in how it helps us pass on useful knowledge to one another, but it falls short in one vital area; and that is that people are not all cut from the same cloth! Something that works brilliantly for one person may do less for another -- why is this?